Time for another Nerd Block! March's Nerd Block arrived this week and I couldn't be happier! 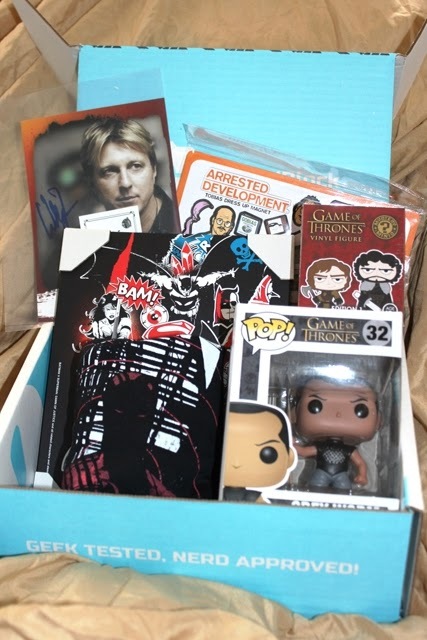 While other subscription boxes celebrated the March release of Batman V Superman, Nerd Block went a different route.Was it a good choice? Let's take a look. Game of Thrones, DC, Daredevil, The Karate Kid, and Arrested Development. What an array of stuff. To tell the truth, I was a little disappointed with the lack of Batman V Superman merchandise. I don't actually own a Batman action figure and I thought that maybe this box would start me on that path. The big toy was always going to be Game of Thrones but I had hoped for a DC blind box or a plushie. It was not to be, instead we got a couple surprises. This one is my absolute favourite. It's Daredevil! 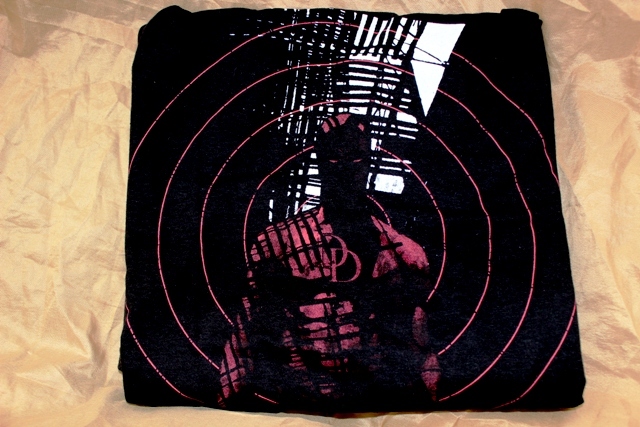 To celebrate the release of Netflix's season 2 of Daredevil, March's Nerd Block contained a pretty damn great Daredevil t-shirt. The design is dark and moody, just like the show. 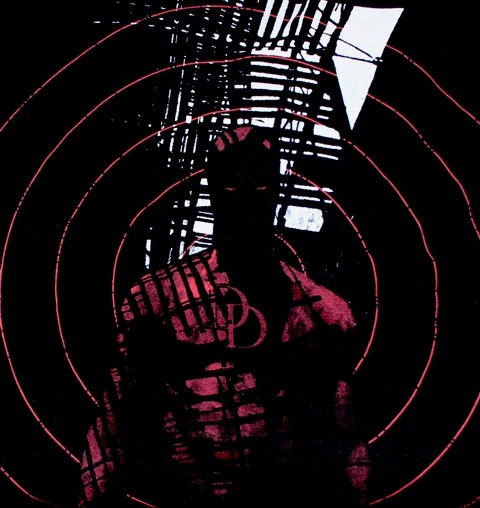 I never thought I'd be a Daredevil fan but Marvel knows how to get me invested. This is one of my favourite Nerd Block t-shirts. Hell, I'm wearing it now as I write this and press play on Season 2, Episode 4. 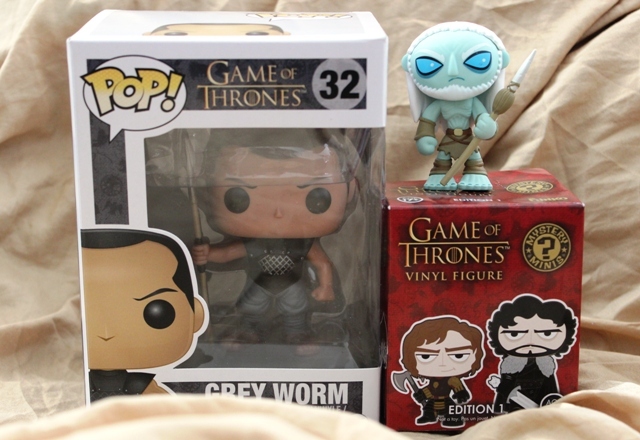 Last month I said I was afraid that with all my Game of Thrones merch, I was going to end up with a very expensive blind box double. Apparently my fears were unwarranted! I'm amazed! I have over 20 Game of Thrones Pops, and while that's not all of them, there was a pretty good chance they were going to send me something I already had. 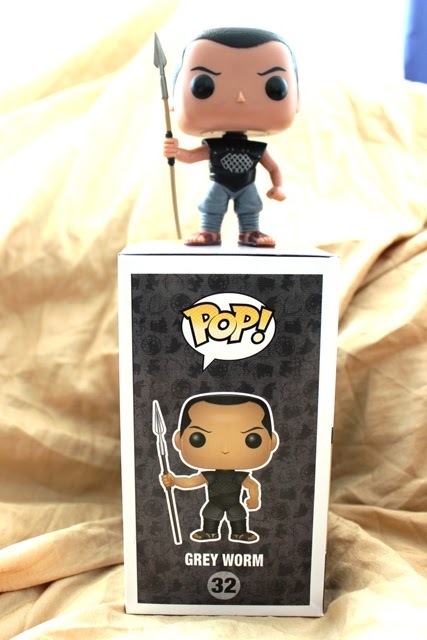 Luck was on my side and when I opened the box Grey Worm was staring back at me. I didn't get another blind box Jaime! I have opened 3 Gold-handed Jaime's from the series 2 vinyl figures. As I opened this series, I had my fingers crossed that I wouldn't get a regular one. I love Jaime, but I REALLY don't need any more. 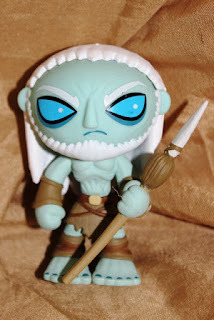 Instead, I found the Night King, or Great Other, or whatever they're calling this icy big bad. The sculpt is interesting. 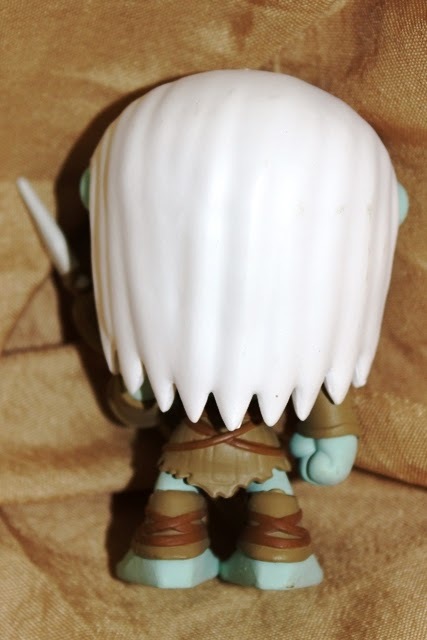 Like most of the Funko blind boxes, this fellow looks adorably grumpy. There's a smudge on his bright blue eyes and his skin is a creepy light blue-green. His shredded skirt is well designed and the details on his chest and rib cage are fantastic for a blind box. His turquoise toenails are a nice touch. 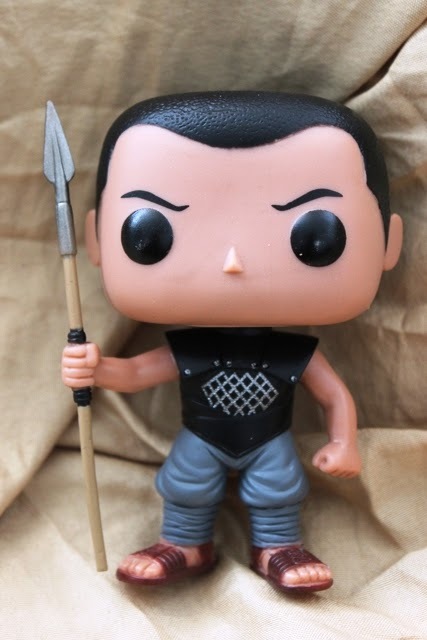 Both Grey Worm and the Night King are holding spears but the designs are very different. 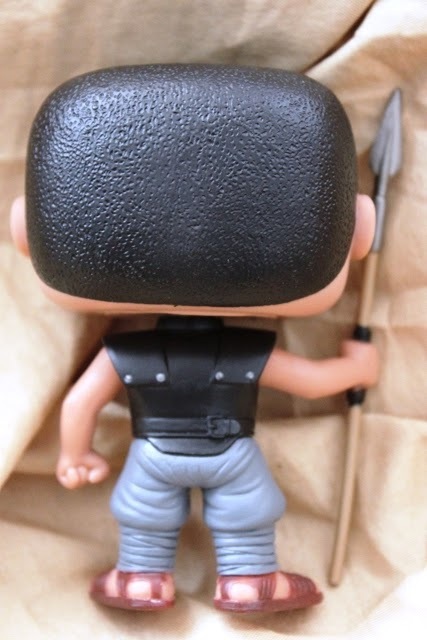 Surprisingly, the blind box's has more detail. 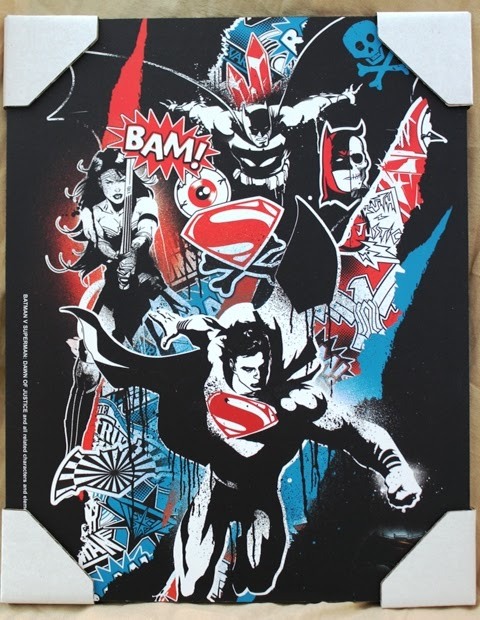 The only DC item in this month's block is a small poster and while I don't really have a place for it, it is quite a nice design. The black, white, and primary colours pop and it showcases the three characters that will grace the screen in the soon-to-be-blockbuster film. It's a nice piece. I'm going to be honest. I don't have a clue what to do with this. 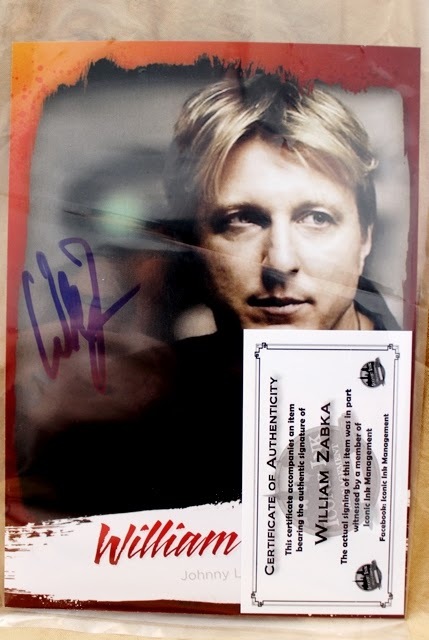 I appreciate that this signed picture of the bully from The Karate Kid comes with a certificate of authenticity, but I...well I have very little interest in William Zabka. Good picture though. Here's the weird item of this box. 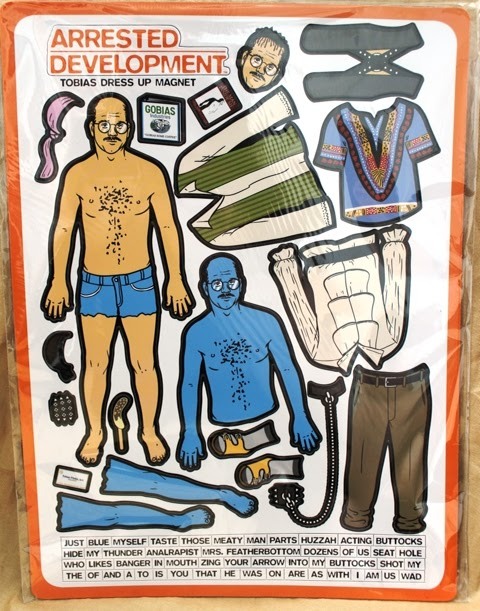 Magnets are always fun and this Arrested Development dress up set is fun as hell. We get some of the most iconic of Tobias' costumes and I can't wait to stick this on my fridge and see what people mix and match. The set also comes with some of Tobias' most iconic lines, which will go well with the other poetry magnets in my apartment. So, was this box a success? Well, I managed to get 2 pieces of Game of Thrones merch that I didn't already have. I call that winning.